Scotland is a good example of a country that is making a commitment to a future with greener, more sustainable energy. The nation has increased its volume of off-shore wind farms by 37%, recently. However, this investment only means so much in the context of the weather. In calm weather, Scotland may need back-ups in the form of batteries in order to keep constant the current flowing through its grid. Alternatively, the country could use additional new power sources to cover this potential shortfall. One project that may fill this gap is the proposed Red John hydroelectric installation. This ambitious plan is based on a much older method of relatively clean power: pumped hydro. It involves moving water between two reservoirs - one on low ground and another on a relatively high elevation. Water is pumped up into the ‘high’ reservoir during periods of increased electrical power availability and then allowed to flow back down to its ‘low’ counterpart when generation is necessary again. This project is particularly interesting as it involves the world-famous loch, (or Scottish lake) Ness. It is named for a second, smaller loch (or lochan) called Lochán an Eoin Ruadha, which translates to the project name, Red John, in English, and located a few miles east of the larger, longer loch. It seems that Eoin Ruadha is the source of a new reservoir that would, according to Red John’s schematics, be located to its north. 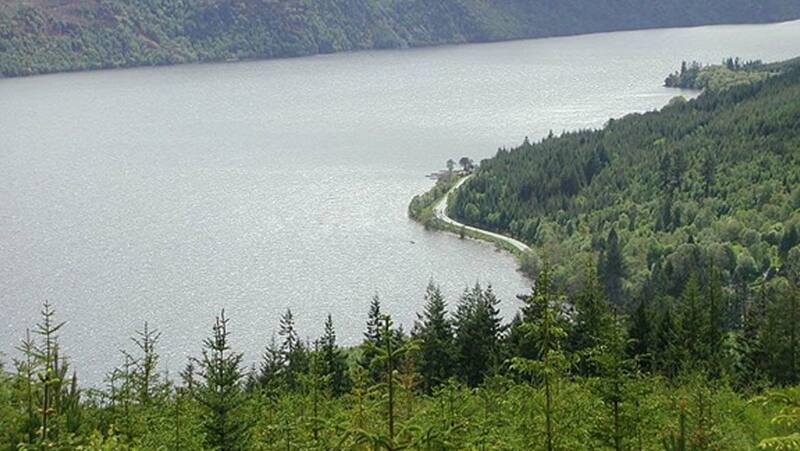 The reservoir would connect via channels stretching to the south-east to an inlet/outlet and a cofferdam on the shores of Loch Ness. The project’s current invigilators (Intelligent Land Investments or ILI) estimate that it could generate between 1.8 and 2.4 gigawatts (or 300 to 400 megawatts, every 6 hours) of power for the Scottish grid. This could equal the country’s total wind-associated output. On the other hand, the plans for Red John affect a sizeable swathe of land in the Dores region of Scotland. The reservoir alone will cover an estimated 5.4 million square meters. In addition, the planned installation, including channels, substations, and other fixtures, may interfere with transport links. These include nature and tourist trails around Ness that depend on the area’s scenery and existing attractions (e.g., the Great Glen canoeing channel, which goes right through the center of the loch) to function. 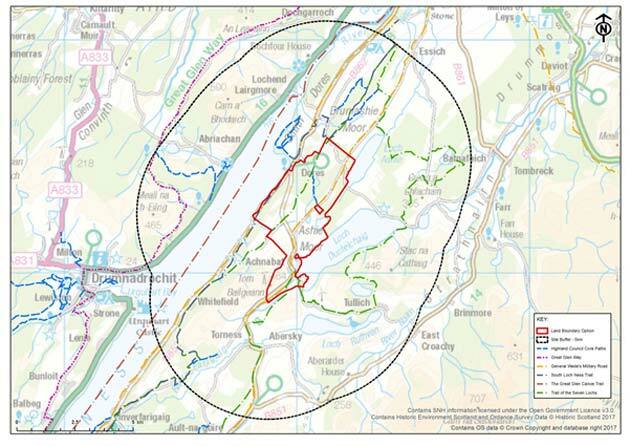 The Red John’s website also concedes that the work involved in building the pumped-hydro station may lead to reduced air and water quality, as well as increased noise pollution, for the people of Dores. Also, this process may disrupt or destroy some ecosystems in the area. However, the investigators assert that a completed Red John may, in time, become a tourist attraction in its own right, in addition to a valuable amenity. ILI’s materials also claim that many components of the station can be placed underground. However, these are still largely hypothetical concerns. Will the Project Translate to Reality? The project has not made much headway in terms of actual approval at this time (July 2018). So far, ILI has completed a process much like focus-grouping with the interested state bodies, the Energy Consents Unit and the Highland Council. ILI must also consult with other similar authorities, including History Scotland, the Scots energy concern SSE, the Scottish Environmental Protection Agency and Scottish Natural Heritage, before it gets the go-ahead. ILI will, additionally, have to complete an application under Section 36 of the Scottish Energy Act. Scotland has a number of alternatives to the proposed pumped-hydro solution. A prominent example is to devote even more offshore space to wind-power in the future. However, this would almost certainly mean augmenting it with large-scale battery plants, which would also take up considerable amounts of land, implying many of the same disruptions as those of the Red John project. Therefore, the diversification of the supply with this second, completely different power source, makes sense on many levels. Sustainable electricity generation is a good idea for many reasons. However, the Red John proposal also highlights the immediate, short- and medium-term upheaval involved in building power solutions, even those that are said to deliver ‘green’ or ‘clean’ energy. The upcoming environmental surveys and assessments for Red John will be a good indicator of whether this kind of power supply can outweigh the potential effects on Loch Ness’ environment or not.